Many people suffer from cold sores, a painful condition that causes blisters near the mouth. The most common cause is the herpes simplex virus or HSV. Over 80 to 90 percent of people in the United States have been exposed to the virus and they are usually triggered by: compromised immune system, viral illness, emotional or physical stress, sun, and poor diet. While there is no proven cure for cold sores, there are prescription medications that can help reduce the outbreaks. Lysine is a natural remedy that has been found to be somewhat effective in treating cold sores. Lysine for Cold Sores: How Does It Work? There are prescription medications for cold sores, but they don’t always work and taking them long-term may have unwanted side-effects. As a result, many people choose to use something natural. One of the more popular remedies is lysine for cold sores. 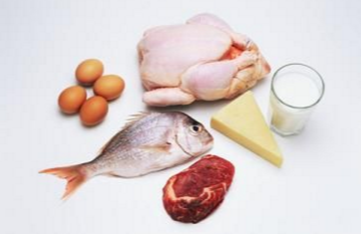 Lysine is an amino acid that our body requires. We don’t produce it naturally, but we get it from foods that we eat. Some people that suffer from cold sores suffer from a lysine deficiency. Herpes simplex 1 that causes cold sores is usually present from childhood. It is a virus that lies dormant in the body until a trigger occurs and makes it active. Herpes requires arginine to reproduce itself. We need arginine to survive and should never cut that from our diet. 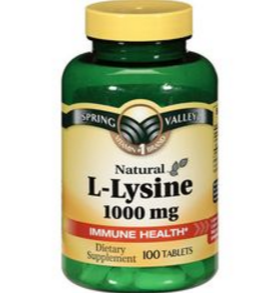 Lysine helps to cut levels of arginine in the body and therefore reduce the amount needed by the virus to reproduce. During an outbreak, dab lysine ointment directly on the lesions twice a day. Your doctor or naturopath may recommend something different, so make sure you check with him or her first. The common dosage of lysine for cold sores is 1,000 mg three times a day with meals. Do not take more than 3,000 mg daily. Once the lesions clear, drop your dose to 500 mg daily to prevent them from coming back. If you experience a repeat outbreak, increase to 1,000 mg daily until the lesions clear and do not return. Some studies show that it needs to be taken continuously to prevent outbreaks and some studies show that continued use of lysine may have adverse effects. Check with your doctor to see what he or she recommends in regards to taking lysine. What Should You Notice When Taking Lysine? Check with your doctor: There can be drug interactions with lysine, as well as effects on certain health conditions. Taking too much can cause gallstones. So always check with your doctor prior to using lysine. Side effects: The side effects of lysine include; stomach pain and diarrhea. Length of Use: Healthy people should not take lysine for cold sores over one-year at the recommended dosage. Health conditions affected by lysine: Lysine should not be used by pregnant or breast feeding women, because there have not been any studies to show it is safe in pregnancy. What’s more, people with kidney disease should not use lysine without a doctor’s advice. Intolerance in children: Some children may be sensitive to lysinuric protein, and it can lead to stomach cramping and diarrhea. Lysine lowers the level of arginine that is absorbed in the intestines and also interferes with its action in the cells of the body. Also, if you have a high level of arginine, it will interfere with the action of lysine. Some antibiotics are affected by lysine. Lysine interferes with how the antibiotics are metabolized and cause toxic levels to enter the kidneys. This includes: streptomycin, gentamicin, and neomycin. Do not use lysine while you are taking any aminoglycoside antibiotics and tell your doctor you are using lysine if prescribed antibiotics. If you are on calcium supplements or medications or osteoporosis, you should use lysine with extreme caution and talk to your doctor before using it. Lysine has been known to raise calcium levels dangerously high in the blood. Use ice: The Herpes virus prefers warmth. Cooling down a cold sore will prevent the virus from replicating itself and reduce its duration. Try garlic: Garlic is a powerful antiviral and can help your body fight the virus. Compress with teabag: Soak a teabag in warm water and place directly on the cold sore. You can do this hourly to help relieve symptoms. Take herbs: The following herbs can help heal cold sores: Echinacea, lavender oil, golden seal tincture, bayberry, burdock, nettle, and wormwood. Avoid some food: An acidic environment helps the virus grow. Try to keep your body slightly alkaline by avoiding foods likecitrus fruit, vinegar, soda, or tomatoes. Toothpaste on Cold Sores: Does It Work? Why Do Sweets Hurt Teeth?